How many schools were mentioned in yesterday’s HWIT? While you are thinking, I shall Snark Onward through the Fog. But let’s back up. 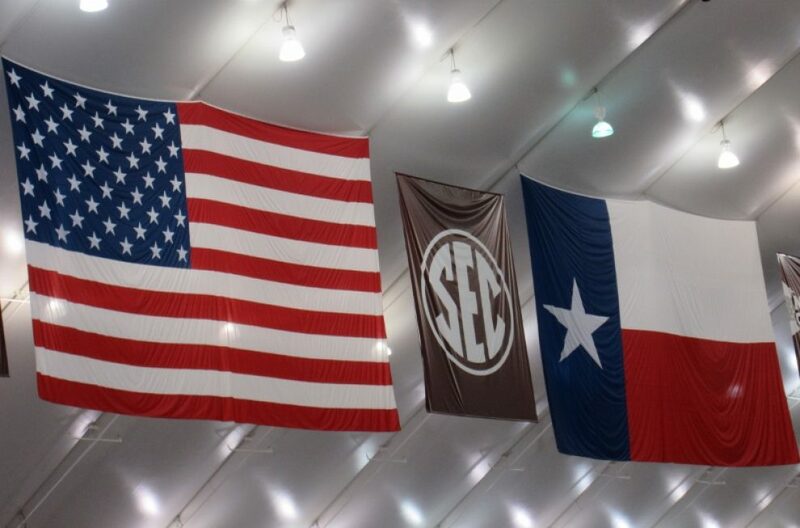 Santino Marchiol – a redshirt freshman who transferred to Arizona in June claims Texas A&M mishandled his ankle injury, provided money for recruits on unofficial visits and ran summer workouts that exceeded the maximum time allowed. The NCAA is investigating. Marchiol played his senior season at IMG Academy in Bradenton, Florida. It is a private boarding school for athletes to improve their abilities in various sports such as tennis, soccer, golf and lacrosse. It fielded its first American football (as opposed to soccer) team in 2013. Standard tuition for one year of boarding at IMG Academy is $68,500 plus a team sport competition and training gear fee that ranges from $3,750-$4,250 depending on the sport. A single semester costs $39,400. Dear Transfer Student Marchiol – AKA Whimp, Wuss and Lady Body part! Quit being an elitist whiney crybaby. Just so you can transfer and play immediately without sitting out a year, you selfishly decided to try to throw your previous team under the bus. You took the money so that makes you complicit in your allegations. Your claims include too long for practice sessions and films sessions exceeding the eight hours allowed a week by the NCAA. Did you have a stopwatch and were keeping time? I do hope your transfer to Arizona is a better fit for you. I am glad you recognized that you are not tough enough to play for the Aggies or any school in the SEC. I really don’t think you could succeed at any school in the Big 12, ACC or a 6A high school team in Texas, Alabama or Georgia. The Aggies have experienced teams under Kevin Sumlin. Even old ladies like me could have played linebacker better than some of Sumlin’s defenses. Good luck, especially in the fourth quarter. You may think it is hot in Florida or Texas, but you ain’t seen nothing like the heat of Arizona. It seems to me that it is you versus the entire Aggie Nation. We shall see what you bring. However, those do not seem like good odds to me. Anyway, I hope you like Drake played during practices. This weekend marks the first anniversary of Hurricane Harvey. PS – Ten schools were mentioned. Texas A&M, Mississippi State, LSU, Arkansas, South Carolina, Florida, THE University of Texas, Baylor and Oklahoma State. The finalists for head of the Drug Enforcement Agency in President Elect Twitter’s Cabinet are Tommy Chong, Cheech Marin and Walter White with Mr. White having the inside track according to SNL. Keep moving through the Worm Hole. For the Shakespearean challenged Love’s Labour’s Lost is a comedy with a theme of reality versus fantasy. Assignment: Use thransonical in a sentence at your next Christmas party to describe President Elect Trump. Take a survey to determine how many people believe it to be complimentary. Thought question for the day – How many millions did the Cabinet Post picks contribute to the Trump campaign? Within a couple of million will be close enough for government work. How long does the essay have to be? Long enough to cover the subject, so yes handing in a blank piece of paper with just the title will be sufficient. Yes, for extra credit you may address the entire cabinet and still turn in a tabla rasa for qualifications. Class dismissed. I must see if my Rosetta Stone for learning Russian and Chinese has arrived.